The best answer to the question, “Is the UK in a house-price bubble?” emerges when you consider that even when growth in property prices is said to be slowing, new records are still being set. 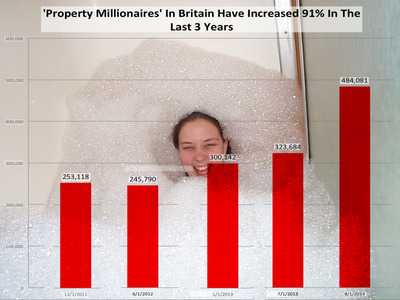 Business Insider asked property tracking website Zoopla to chart the number of “property millionaires” — meaning the number of people whose houses are now worth more than £1 million — in Britain over time. There has been an increase of 49% over the past 12 months, to 484,081 currently, Zoopla said. The average house price in London is now £499,000 ($US809,000). The average salary in the UK is around £27,000, which means London houses are basically out of reach of the majority of people. Prices are above their 2007 peak. UK house prices fell 0.2 per cent in September, the first monthly fall since April 2013, with annual growth slowing to 9.4 per cent, according to the Nationwide Building Society’s monthly survey. Translation: even when prices decline sequentially, they’re still far above the year-on-year price level. In the UK as a whole, prices are about 2 per cent above their pre-crisis peak, with the average property costing £188,000 on a non-seasonally adjusted basis, although if London is excluded they are only 1 per cent higher. 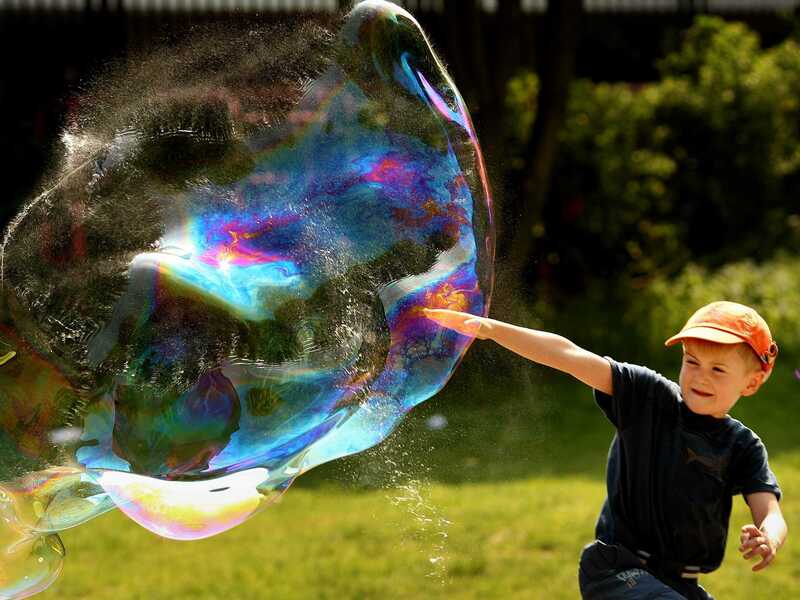 So is London in a bubble that will suddenly pop? Or a merely boom that may see a soft landing as the market rationalizes declining demand? The case for the boom suggests that as interest rates in the UK are still near zero per cent, and not likely to rise soon, then money is still so cheap that buyers will continue to take advantage. Stagnant incomes will moderate demand, and thus prices. The case for the bubble notes that as soon as the Bank of England raises the rate, demand will dry up, and prices will crash. And then there’s the issue of London itself. London isn’t a finite resource, like the islands of Hong Kong or Manhattan. Those cities are hemmed in by water. And London has barely begun to explore high-rise living. London can go both up and out in ways that Manhattan and Hong Kong can’t. The London area can get plenty taller, plenty more dense, and plenty bigger — so supply isn’t as restricted. Put those two factors together (higher interest rates and greater supply) and you have a market that may reverse itself with surprising speed.